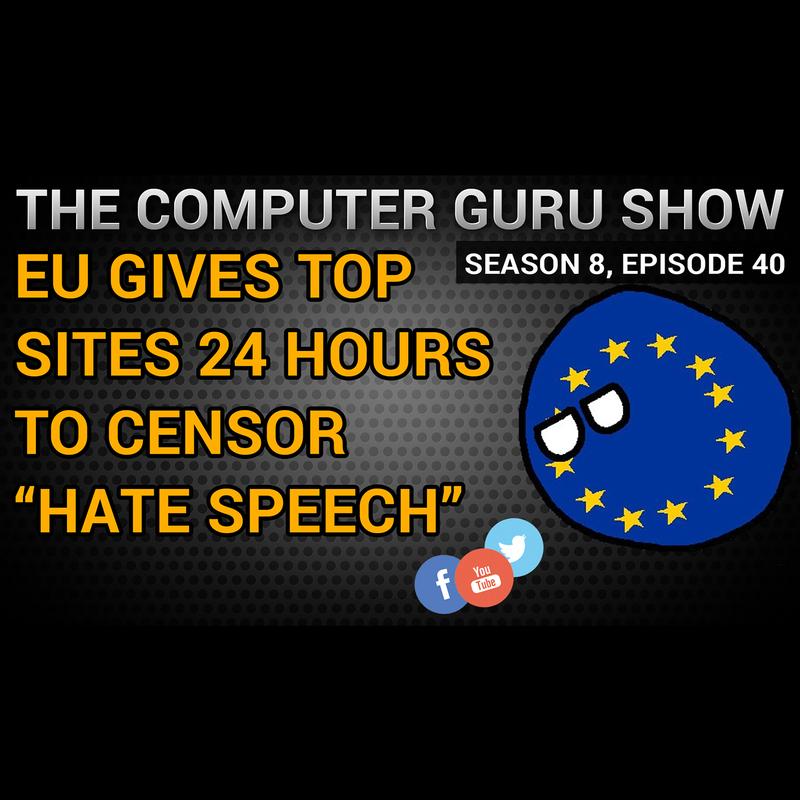 On this week's episode, Mike, Tara and Rob discuss the EU's decision to require the top social networking sites (Facebook, Youtube, and Twitter among others) to censor "hate speech". We discuss this and its many far-reaching implications, as well as other tech news. We also take your calls live!